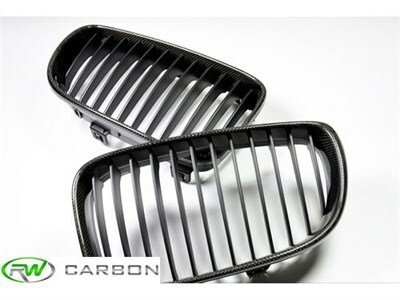 Customize the exterior appearance of your 1 Series or 1M with these genuine carbon fiber kidney grilles. Our grilles begin their life from a strong ABS base plastic that will not chip or discolor over time. Then we carefully overlay the outter ring with real carbon fiber. 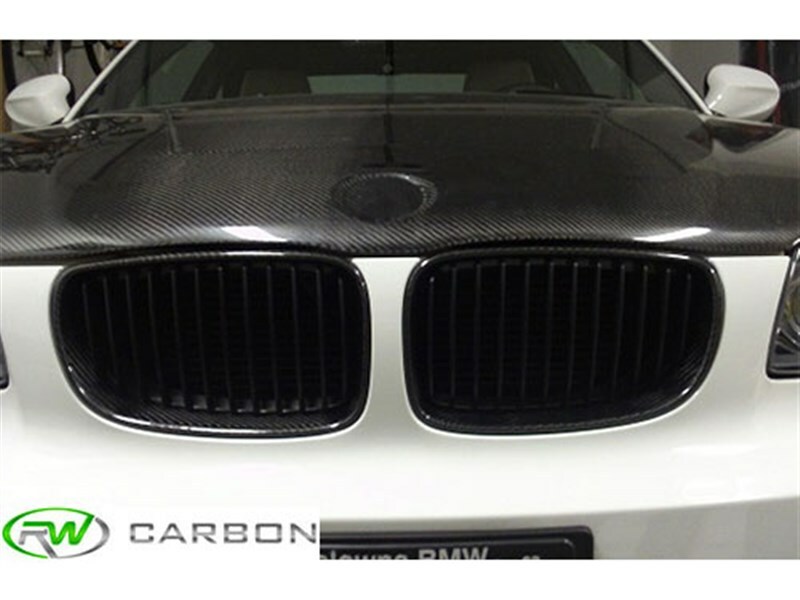 These carbon fiber grilles fit E82 and E88 128i, 135i, and 1M applications. Our CF E82/E88 Grilles have plug and play installation and can be installed by any enthusiast. They go great on a mostly stock vehicle, or one that already has other carbon fiber accessories on it. Put these nice BMW 1 series carbon fiber grilles on your 128i, 135i, 135is or 1M! These BMW E82 CF grilles will replace your OEM grilles and will use your OEM mounting locations. Access to the back of the grille is required. One Goal, One Focus, Carbon Fiber. This is our moto and it shows in all of the items we provide for the 1 Series community. 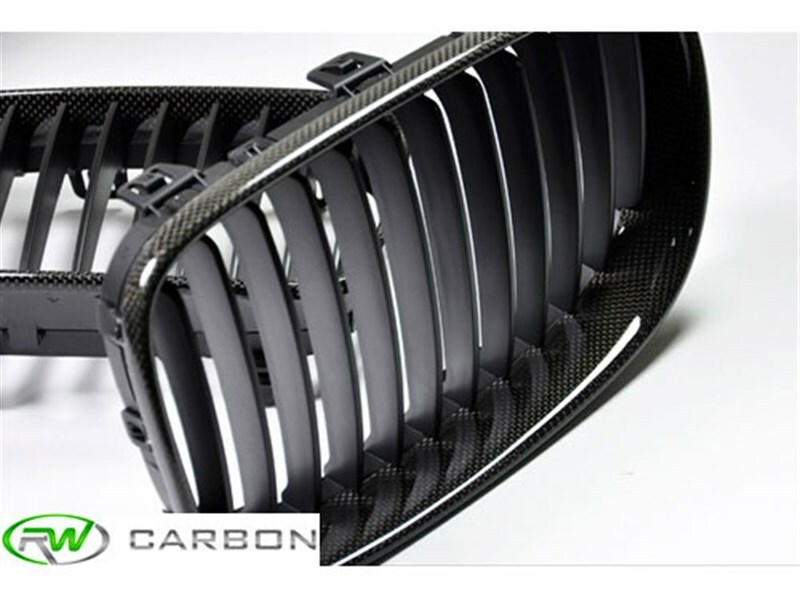 Everything we do involves carbon fiber which enables us to provide our customers with high quality carbon fiber items like these carbon fiber grilles. We take the time to quality control every item that ships from our warehouse. When you order from many companies online they are shipping a grille from overseas that has not been quality controlled. If you order one of these parts you could receive a part that is damaged, has scratches in the clearcoat, or overall poor carbon fiber construction. By choosing RW Carbon we make the promise to deliver you a consistent, quality product on time.